The creation of a vast volunteer army in Britain in 1914 and 1915 was an impressive achievement, with two million men joining up in 12 months, but by the end of 1914 there were fears that the numbers coming forward were too small. Through 1915, calls for conscription increased and in October the last gasp of ‘voluntaryism’ was launched: the Derby Scheme. Military aged men were asked to ‘attest their willingness to serve’, in other words to volunteer to be called up when they were needed. The Derby Scheme concluded in mid-December with what the press depicted as another ‘rush to the colours’ akin to that of September 1914, but it did not save the voluntary recruiting system. In essence there were two prongs to the so-called ‘Derby Scheme’: the first was a systematic survey of all military-aged men on the National Register who were not in ‘starred’ employment (i.e. war-related work). This meant sending canvassers out again to the houses of men on the register. This was not pleasant work. 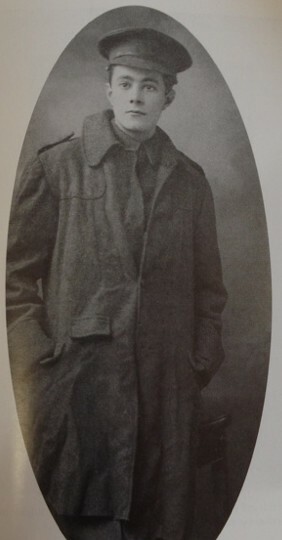 Researching the Great War in Essex, I found a few signs of the unpopularity of canvassing for attestees in the diary of Revd Andrew Clark: William Brown, in Great Leighs, was reluctantly involved and told Clark that it was “the most unpleasant job he ever took on, to recruit your neighbours’ sons, your neighbours’ men, your own men, but no one else would touch it.”’ The appearance of posters in Chelmsford advertising for Derby canvassers suggest that townspeople were also reluctant to undertake the role. [Bodleian Library, Clark diaries, 7/12/1915 and 3/11/1915]. Still millions of men were asked to attest their willingness to serve. The other prong to the campaign was a renewal of the general recruiting campaign but calling for men to sign up either as new recruits for immediate enlistment or as attestees willing to go when called. 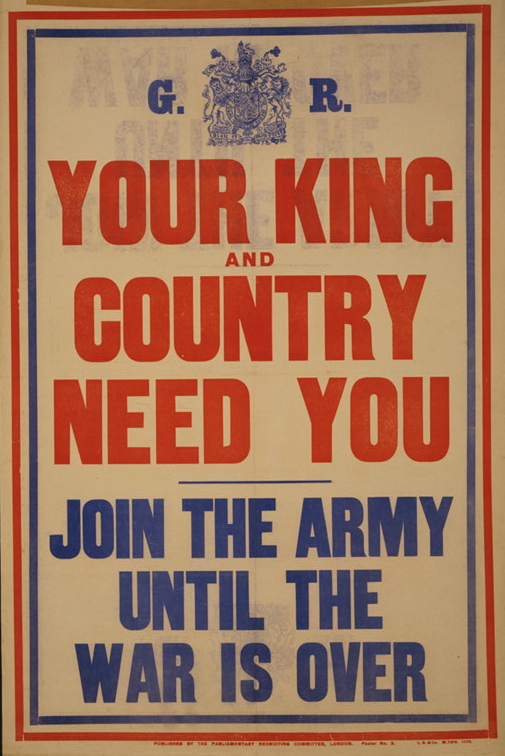 Again recruiting meetings were held and posters went up across the country; now the threat of conscription was greater than ever as a back-drop to these meetings. 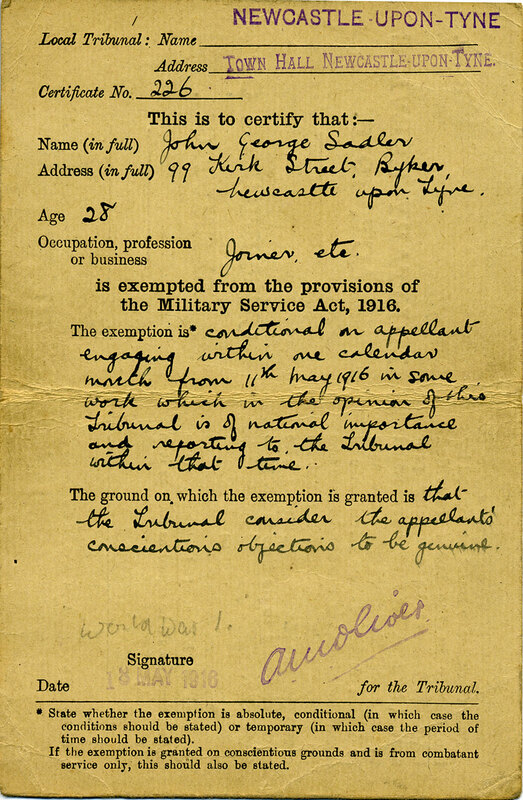 As part of the campaign, the Government stressed two things: first, that men would be able to appeal against their call up, with the strong implication that men who had not attested would be unable to appeal against their later conscription. It was stressed that men should leave the decision over whether their personal or work situation meant they should stay or go to the local tribunal. This was important for many men who joined up, since it meant that they could attest on the assumption that their circumstances would keep them out of the army – they would appear patriotic but not actually have to fight. It probably also increased the number of ‘starred’ men attesting. Like the potential for exemption, the promise that men could patriotically attest without actually having to serve (at least until the single men had gone) may have allowed men to attest on the assumption that they would not actually have to serve. The pledge to the married men was to become very important in early 1916, as we shall see. In December, Lord Derby reported to Parliament that 2,950,514 men had attested, enlisted or come forwards and been rejected on medical grounds from 23 October to 19 December 2015, out of 5 million men of military age. He revealed that 2,246,630 had attested, with another 275,031 enlisting and 428,853 being rejected (although whether from attesting or enlisting it is not clear). A more positive aspect of the figures that he noted was the vast numbers of men who came forward to attest in the last few days of the scheme. A total of 1,070,478 men attested on the four days starting Friday 10 December, with over 325,000 coming forward on both the Saturday and the Sunday. Somewhat predictably this was compared to the rush to enlist in the late summer of 1914, when over 30,000 men had come forward on each of four days in early September. Clearly far more men ‘attested their willingness to serve’ in 1915 than enlisted in those days, the key differences being, of course, that the 1915 men did not have to go off immediately to serve their King and Country and – as noted above – many will have come forward on the assumption that they would not have to serve. Attestation section of army service papers for Henry George Jesse Peavot, a married librarian for London Zoo. It shows that he attested on 9 December 1915 and was called up (to the Honourable Artillery Company) on 6 December 1916. He was killed in action in 1917. Overall, the Scheme was deemed a failure. It can be seen either as the last attempt by a Liberal-led government to retain the voluntary principle. But it can just as well be seen as a cynical effort to hasten the demise of ‘voluntaryism’ but demonstrating it’s inability to bring in the numbers of men needed. Either way, January 1916 brought the Military Service Act, which made all single men of military age liable to being called up. Alongside the Derby Scheme the Government asked all local authorities to create tribunals to hear the appeals of men against their call up. We have seen in a previous post how these tribunals worked, hearing appeals from both Derby attestees and conscripts under the Military Service Acts of 1916. In theory the only difference in the right to appeal was that while both attested men and conscripts could appeal on the basis of medical unfitness, exceptional business or personal circumstances (such as the potential collapse of their business, or that they were vital in caring for elderly relatives), and work of national importance, only conscripts could appeal on the basis of conscientious objection. This was logical since attested men had sworn that they were willing to serve, but since men had been told (at least implicitly) that military service could only be avoided by attesting and going to the tribunals, it is not surprising that some attested despite being being conscientious objectors or being so unwilling to serve that they felt it better to be tarred with the label of ‘conchy’ than to join up. In fact on 20 December 1915 it was announced that the first four groups (2-5, since group 1 were too young) would be called on 20 January 1916. By 16 February the call-up dates for all the higher-numbered single groups had been announced, all to begin by 18 March (group 1 were then to follow at the end of March). The records of the early tribunal meetings show how unexpected this was, with many men being put back by a set number of groups (say from group 6 to group 16, in reality a three week reprieve) rather than a set number of months as became the practice for the rest of the war. So, how many Derby men ended up joining up? As we have seen, there were some 2.25 million attested men by mid December 1915. The scheme was reopened in the new year until 1 March 1916 (leading to the ‘Will you March Too, or Wait till March 2’ poster campaign), so the intake would actually have been greater. 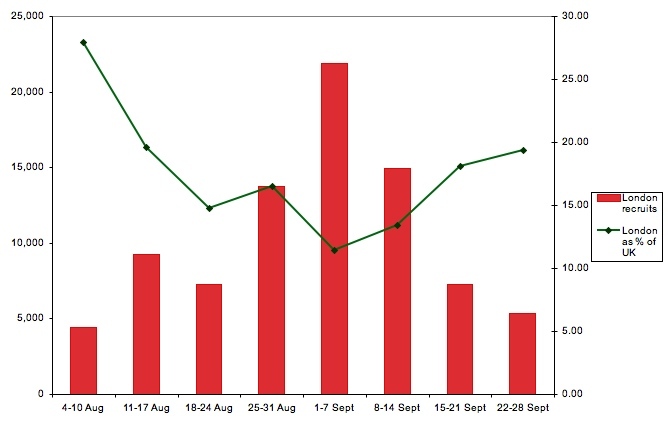 These statistics tell us two things about the Derby Scheme. First, that less than two in every five attested men joined the army in the first 15 months of the Scheme’s operation. At the same time, Derby attestees made up the largest group of recruits in that period (after which no distinction is made in the official statistics). Despite the ‘failure’ of the scheme, with only 56% of available men attesting or enlisting, the Scheme probably brought in more recruits than did the Military Service Act and the last tailing off of voluntary recruitment during the year in which all three routes into the armed forces were open (March 1916-March 1917 – the figures of volunteers and attested men above, of course start in January 1916) – with volunteers probably including some Derby men and likely conscripts who wanted to join particular regiments or avoid the stigma of conscription. Was the Derby Scheme a failure? It depends what the objective was. If it aimed to save ‘voluntaryism’, it failed. If it aimed to make conscription more palatable by showing up the limits of voluntary recruiting and persuading men to volunteer to be conscripted, then it was surely a success. Either way, it was certainly a bizarre transitional period in recruitment in Great War Britain. August 1915 brought Britain a “Registration Day”, an extraordinary census on 15 August recording information about every man and woman between 15 and 65 for a new National Register. Its purpose was to find out how many men of military age were still civilians, how many could be spared for war work and, more pressingly, how many could join the armed forces. During the first year of the war two million men had joined Britain’s army and navy (the air force was not formed until 1918). Hundreds of thousands were also serving as regulars, reservists or territorial force men, having joined up before August 1914. By February 1915, 15% of London’s male industrial workforce, and probably more of its service sector employees, were serving. (This was roughly in line with the national picture for industrial employees, but London’s large service sector bumped up London’s level of war service). “The registration was to undertaken in a similar way to a census however, unlike a census, the head of household was not responsible for completing the form and instead each person who came under the act would complete their own form. Some 29 million forms were issued across England, Scotland and Wales. “Men were required to complete a granite blue form and women a white form. “The Town Clerk has reported to us on the steps taken for compiling and maintaining the Borough’s portion of the National Register. The work has engaged a very considerable number of voluntary helpers and a large number of the staff since the beginning of August. 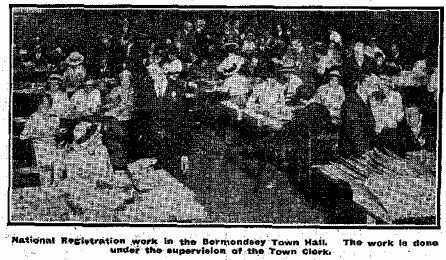 The invitations of the President of the Local Government Board and the Registrar General for capable voluntary helpers from among the professional and official classes did not meet with a very large response, although several barristers, members of the Council, and leading residents kindly offered their services; but at the last moment a number of church workers, workers from the Women’s Emergency Corps, the Women’s Service League, and others, came forward, and a sufficient number of enumerators undertook the difficult task of the distribution and collection of the Registration forms. The register of men in St Marylebone had been completed by 7 September but the register of women was still being worked on. Nearly 100,000 forms had to be dealt with and over 70,000 certificates completed and sent out. The information on the forms was sent to the Local Government Board, who transferred the details of men of military age (i.e. 18-41 years old) onto pink forms that listed their employment and family details. If they employed in war work (for example, coal mining, munitions work, railways and some agricultural work) their pink forms were marked with a black star – leading to the term ‘starred’ meaning that someone had an essential war role. Article on the pink form, Daily Express 18 August 1915. 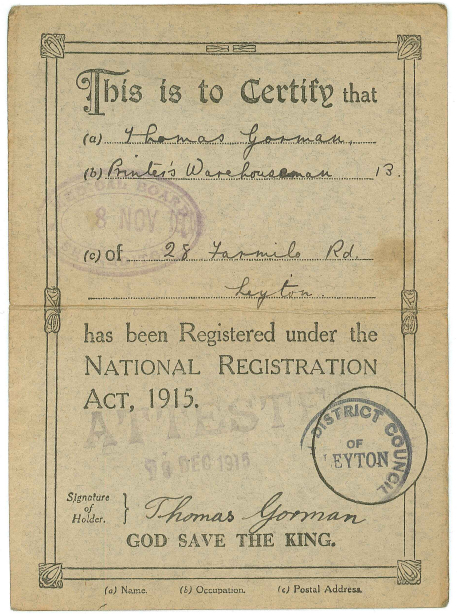 As you will see, this one – for Thomas Gorman of 28 Farmilo Road, Leyton, records his name, address and occupation. It also carried the mark of the next step in the process – the Derby Scheme: Thomas Gorman ‘attested his willingness to serve’ in December 1915. Nationally, the 1915 register showed that over 5 million men were not in the forces, of whom 2.18 million were single and 2.83 million were married. Of those single men (the first to be conscripted in 1916), 690,138 were in ‘starred’ roles meaning that nearly 1.5 million were potentially available for military service. The National Register was a major waypoint in the move from the voluntary recruitment of 1914 to the conscription system introduced in 1916. It gave the Government a statistical breakdown of how many single and married men, of what ages, remained in the civilian population – and it gave them those men’s names and addresses. 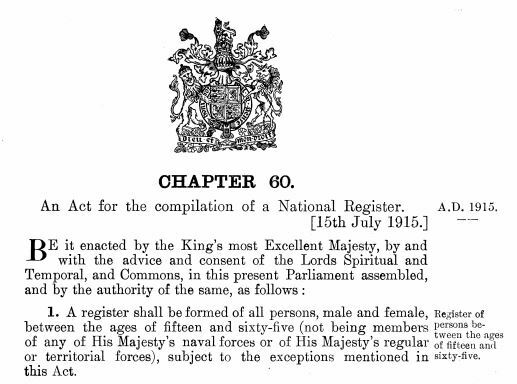 After those men were asked to enlist or attest in the Derby Scheme at the end of 1915, the Military Service Acts of 1916 introduced compulsory military service for all men of military age (unless they could get an exemption). 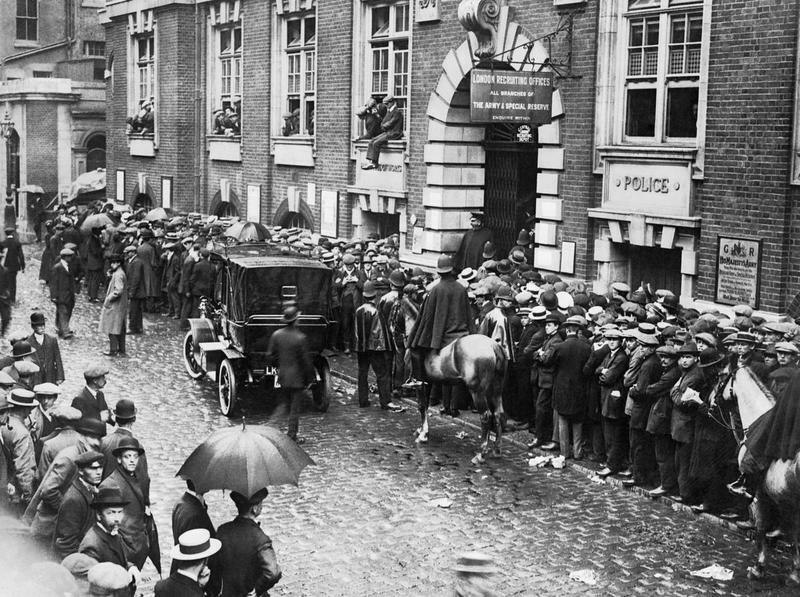 One of the abiding images of 1914 in London is the crush of men trying to join the army. The biggest rush to enlist came at the end of August, but the initial rush overwhelmed the recruiting machinery and so created a memorable image. Over the first five days of war – 4th to 8th August 1914 – nearly 8,200 men joined the British Army (not including the existing reservists and Territorials who were called up). In London alone, 2,152 men joined up in those couple of days. 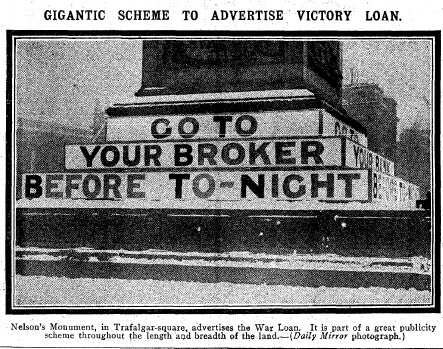 August 6th saw the first ‘call to arms’ published, Lord Kitchener (the Secretary of State for War) called for 100,000 men to join up ‘for three years or the duration’ and recruiting posters went up around London. These were not the ones with Kitchener’s face on them, those posters (by Alfred Leete, based on a cover image for the magazine London Opinion) were not widespread and appeared on in late September. The first posters were text-based, as were most 1914 recruiting posters. One read: “Your King and Country need – YOU”. Another restated the call to arms. 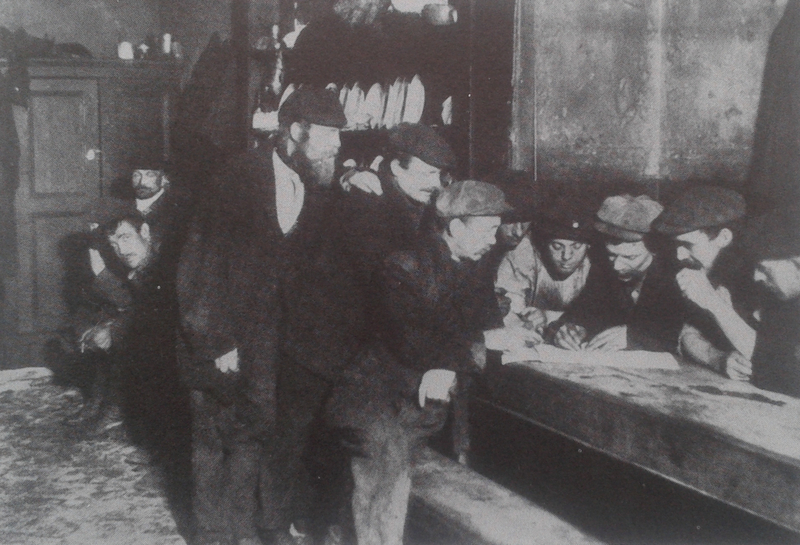 The crush and long queues at recruiting stations caused much frustration, particularly at the central London recruiting office on Great Scotland Yard and the headquarters of the various Territorial units. City clerk Bernard Brookes waited for two or three hours on Buckingham Palace Road on 7 August to join the Queen’s Westminster Rifles (16th battalion of the all-Territorial London Regiment): ‘After much swearing outside the building, we were “sworn in”’. On that day, 7 August, The Times reported new offices opening in Camberwell, Islington, Battersea, Fulham, and Marylebone. The men who joined up included both completely new recruits like Brookes and people with previous military experience, either Regular or Territorial. Among the latter was shipping clerk Ronald Charles Colman. Colman was 23 years and 6 months old and had joined the London Scottish (14th battalion, London Regiment) in 1909; he left the unit in 1913 after his 4 years’ Territorial service was up. When war came in 1914, he immediately rejoined at their headquarters, signing up at 59 Buckingham Gate on 5 August 1914 and passing the medical examination. He was immediately ‘embodied’ (i.e. mobilised) and after little more than a month, he and his comrades were in France (arriving on 16 September 1914) a few days after Colman had signed the ‘imperial service’ declaration that was required at that point for Territorials to be sent overseas, since they had joined units designed for home defence. The London Scottish were the first Territorial unit to go into action alongside Regular soldiers of the British Expeditionary Force. On 31 October (Hallowe’en) 1914, they went into action at Messines, in the south of the Ypres Salient. The Scots went moved to Wystschaete from 8 a.m. to reinforce the 4th Cavalry Brigade (who were fighting as infantry). They advanced into a dangerous gap in the British line, suffering casualties all the way and resisted attacks by the Germans through the night, denying them access to the road to Ypres. The Messines 1917 blog‘s concludes that “the efforts of the London Scottish had won time and ultimately prevented a far superior force breaking through to Ypres. The Scots had lost 394 of their 700 officers and men in their short time on the ridge.” A famous photo shows some of the London Scottish at their roll call the next day, when only 150 men answered their names – although stragglers made the numbers up to over 300 uninjured survivors in the end. He was treated at the 4th Cavalry Field Ambulance before being sent back to the UK. He was in hospital from 6-11 November at St Bartholomew’s in London, before being transferred to the 3rd barraltion of the London Scottish (3/14 Londons). In May 1915, Colman was discharged as no longer physically fit for military service, after only 274 days of wartime service, just 47 of which were spent on the Western Front. 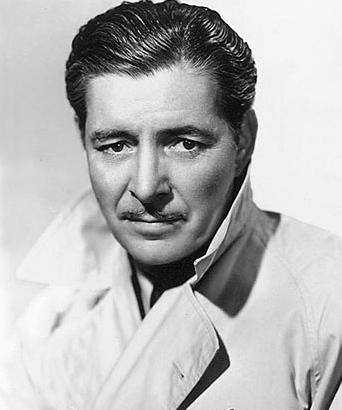 He did suffer from the wound though, as the DNB notes “he was to spend much of the remainder of his life and career attempting, often in considerable pain, to conceal [the limp caused by his war wounds] from audiences and cameras alike.” Ronald Colman went on to star in films like Beau Geste (1926) and Bulldog Drummond (1929). He has two stars on the Hollywood Walk of Fame in Los Angeles, one for his film work and one for theatre. Ronald Colman was, in a sense, one of the lucky ones. The volunteers of 1914 were the most likely to be killed or wounded during the war (because they served for longer and probably also because of the poor quality of the early trenches and the Tommies’ lack of helmets before 1916). When he was wounded, it was enough to get him out of the war but not enough to prevent him being an enormously successful star of stage and screen. He died in California in 1958; the Times called him ‘the most complete gentleman of the cinema’. Ancestry: RC Colman service records. When walking through cemeteries and churchyards around London and across the UK, it is common to come across the familiar outline of a Commonwealth War Graves Commission headstone, or even a Cross of Sacrifice. Well over eight thousand of the British Empire’s war dead are buried in London and Middlesex. According to the CWGC’s website, there are 9375 cemeteries, churchyards and memorials in the UK that serve as the nation’s commemoration of a fallen service man or women of the Great War. This is a total of over 90,000 of the British and Empire dead of the Great War, out of around 673,000 with known graves in total from that war worldwide (deaths dating from 1914-21). This does not include those mentioned on their parents’ or siblings’ gravestones here, only those who were buried or cremated in the UK or whose bodies were never found and who are officially commemorated in this country. 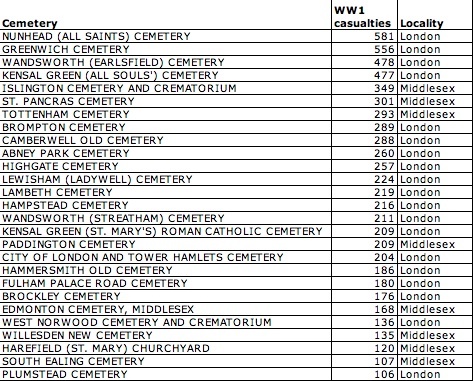 In London there are 36 cemeteries and churchyards in which service personnel of the Great War are buried, along with another 79 sites in what used to be Middlesex (now almost entirely in London). There are bound to be more in the bits of East London that used to be in Essex and South London that used to be in Kent or Surrey, but these are harder to separate from the modern counties’ sites. 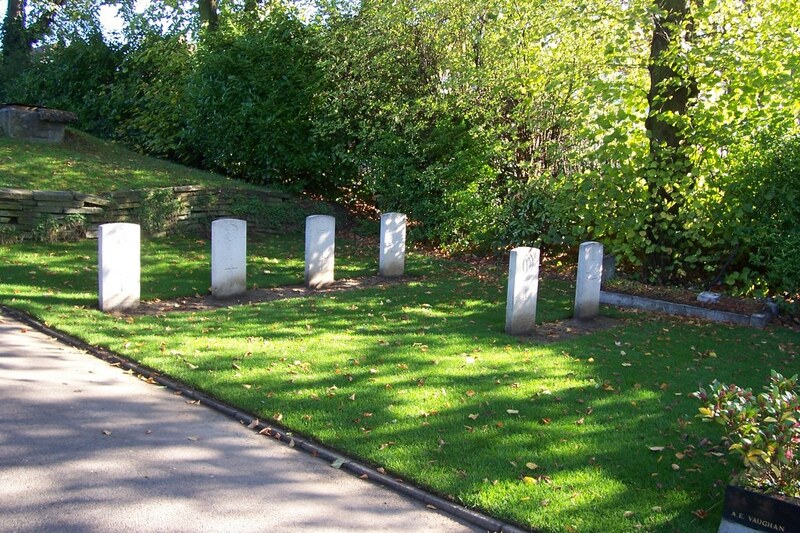 In total 8,569 of the Empire’s war dead are buried in London and Middlesex (5637 in London, 2832 in Middlesex). Sixty-three of the 115 sites hold fewer than 10 war casualties each, while the largest six sites hold nearly a third of the London Great War graves between them – over 2,700. The men and women buried in London and Middlesex are a mixed groups, from a variety of nations and arms of service. The reasons they are buried here vary too: some were Londoners who died in training or on leave or serving as medics; many died in London hospitals whether as Londoners near home or hundreds or thousands of miles from their families across the UK and the rest of the globe; others survived the war but died shortly afterwards of their wounds or illness. In addition to the thousands buried in London and Middlesex, the capital is home to the nation’s largest memorial to the missing. The Tower Hill Memorial commemorates the dead of the Merchant Navy and the Fishing Fleet. Almost twelve thousand of its 35,747 names are from the First World War. The other memorials in the UK (the matching naval memorials of Portsmouth, Chatham and Plymouth and the smaller Hollybrook Memorial in Southampton to those of land and air forces who died at sea) together list another 27,370 names from the Great War dead with no known graves. In addition, 53 Hindu and Sikh soldiers are commemorated at Patcham Down after dying in the UK and being cremated in accordance with their faiths. 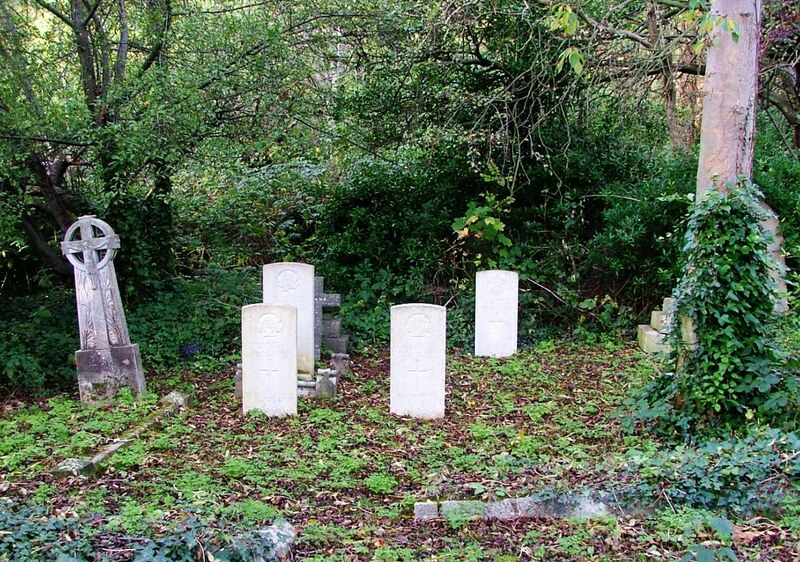 Near to London are the graves of another 1,738 of the Great War dead buried in Brookwood cemetery (including the Muslim comrades of the Sikhs and Hindus named at Patcham Down). A new monument there also records the names of over 350 war dead who still had no known grave before being commemorated at Brookwood.